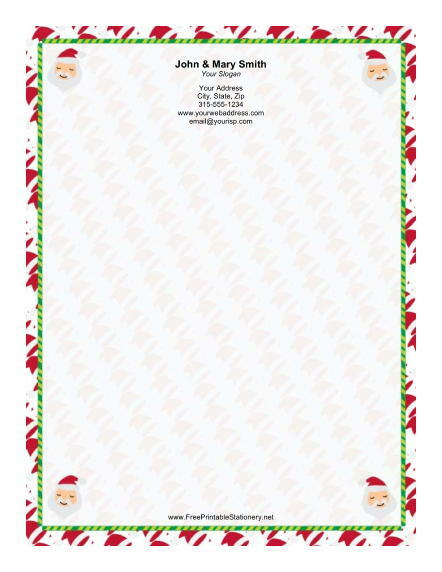 This Christmas stationery design has a quartet of small Santa faces surrounded by a border of green candy canes. This bright Christmas frame is set against a background of red and white Santa hats. Festive Christmas paper like this is perfect for sending holiday greetings to your family.